Whether you have a sprawling backyard or a quaint balcony, there’s a design solution to make your outdoor area instantly feel like an oasis. You can kick your space up a level in just a few simple ways. 1. Smart storage saves space, time and hassles. 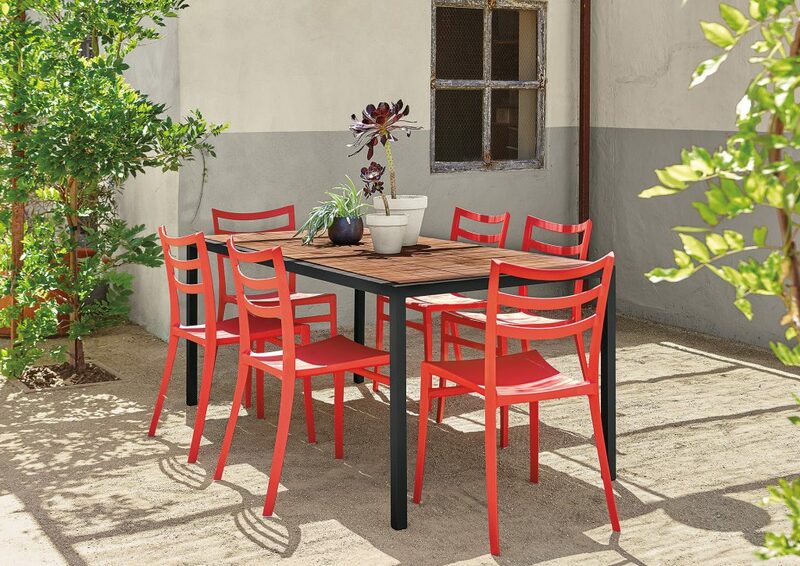 We love the pop of color our Sabrina chairs (featured above) add to this outdoor dining area, but did you know the chairs are also stackable? You can easily add or remove chairs as needed. We love this creative use of space! 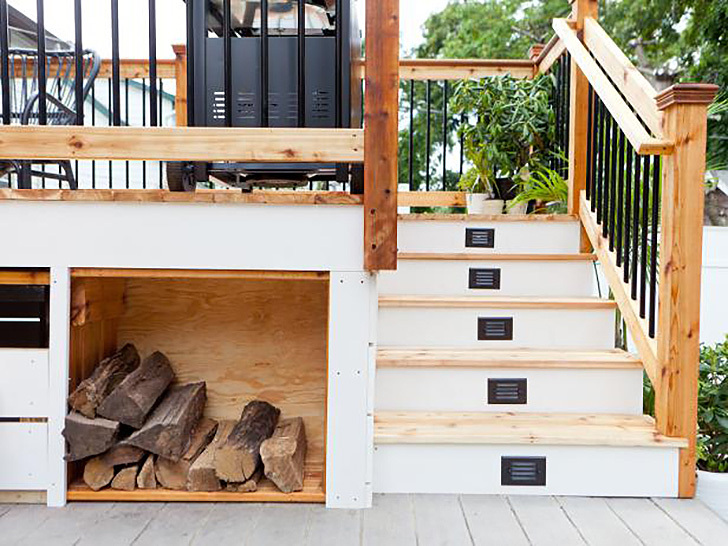 You’ll always have dry firewood and the built-in design looks seamless with the rest of the deck and patio. 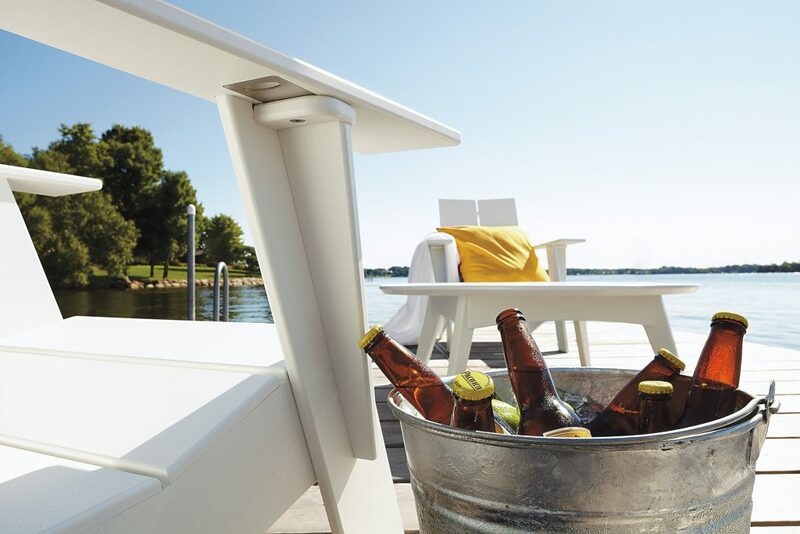 Our Emmet chair has a built-in bottle opener located underneath the arm. 2. A flower, herb or vegetable garden is one of the easiest ways to maximize the beauty and vibrancy of your outdoor space. There are plants for any place and so many beautiful ways to house them. Here’s a list of the nine easiest herbs to grow if you’re just getting started. We love the idea of “growing up” if you’re tight on space. 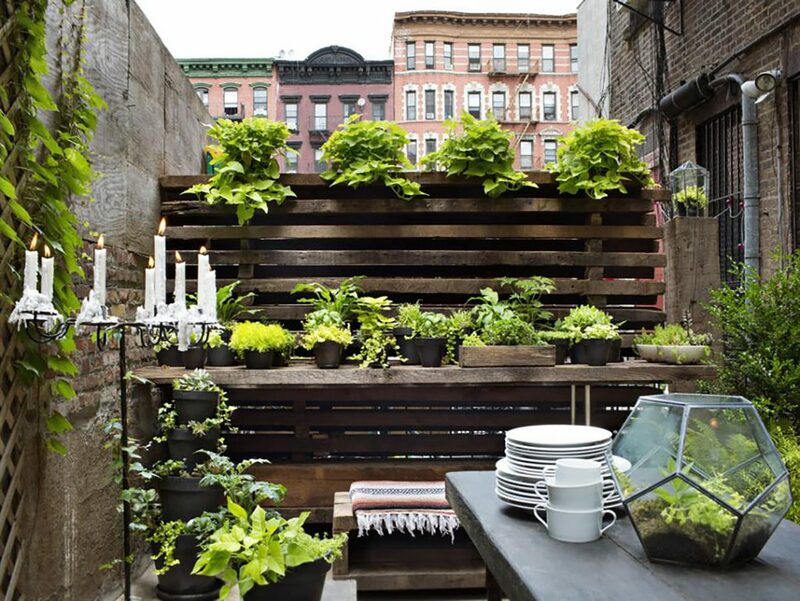 Vertical greenery can also act as a divider between balconies. 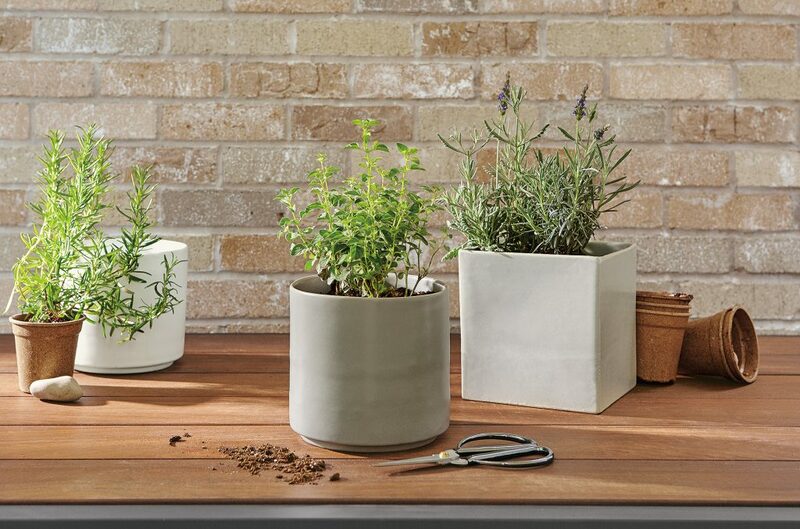 Our Shore round planters and square planters give your greenery a modern place to grow. 3. 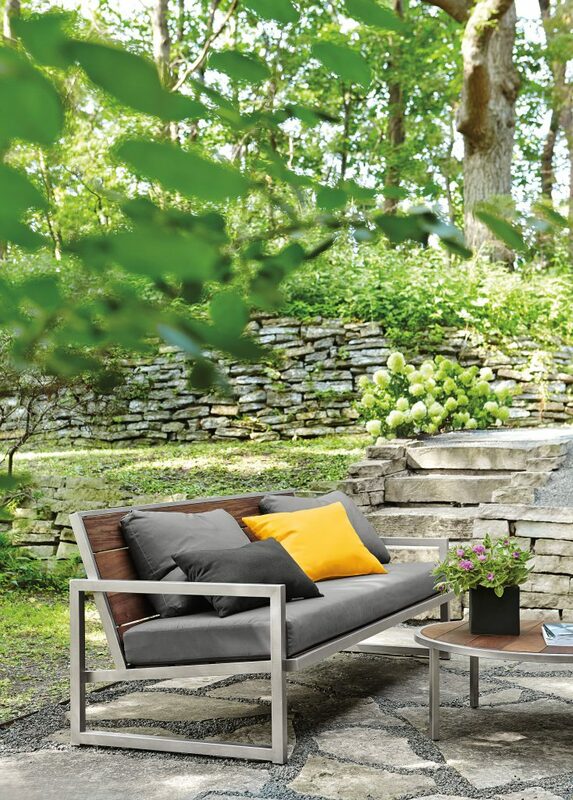 Maximize comfort with modern, upholstered outdoor sofas and accent pillows. All of our outdoor upholstery is made from Sunbrella® fabric, which resists fading, stains and mildew. 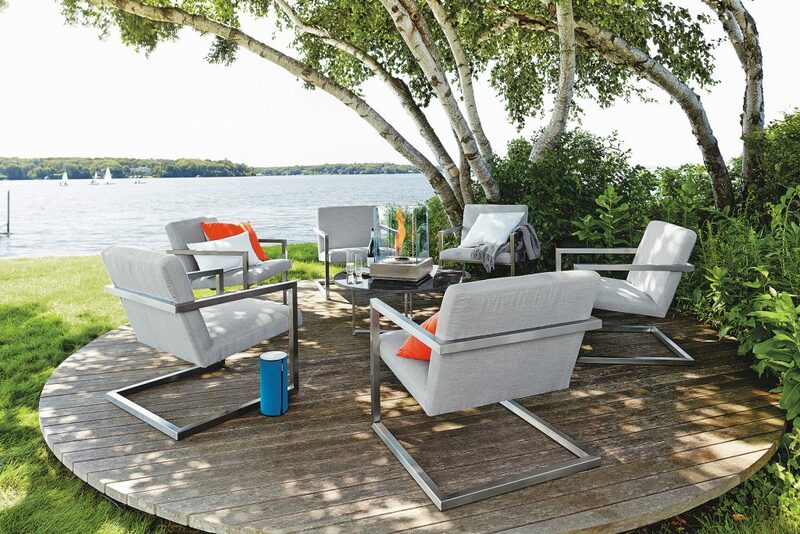 Plus, soft seating encourages everyone to linger longer on the patio or deck. Bring indoor style outside with our Palm sofa with outdoor pillows. Even adding just a cushion or two can add a ton of comfort. Our Montego sofa with cushions is a great solution that combines wood and upholstery, making for a modern outdoor setting. This smart use of space (showing off our Finn lounge chairs) incorporates comfort, style and functionality all within a small seating area.